To watch the full videos you need to be logged in to YOGOBE.COM. At YOGOBE you can exercise and be inspired by videos featuring some of Scandinavia's leading yoga instructors. Wherever and whenever you want. Welcome! You can easily choose to be a monthly, quarterly, or yearly subscriber. Yogobe has no binding period and subscriptions are easy to cancel. Your trial period has expired but you can easily choose to be a monthly, quarterly, or yearly subscriber. Yogobe has no binding period and subscriptions are easy to cancel. To watch full videos, you need to verify your account. This can be done through the activation email we sent you. If you have any questions, don't hesitate to contact us at info@yogobe.com. If you want to continue to have access to Yogobe after the free trial period, you can easily choose to be a monthly, quarterly, or yearly subscriber. Yogobe has no binding period and subscriptions are easy to cancel. Warm welcome! Once you have created and verified your Yogobe account you can practice yoga whenever and wherever you want. If you have any questions, please don't hesitate to contact us info@yogobe.com. Warm welcome! To see full videos, your account needs to be activated. We were unable to withdraw funds from your account. If you have any questions regarding your subscription, please don't hesitate to contact us at info@yogobe.com. Thank you for being part of Yogobe and making yoga a part of your daily life. We love that this content is a favorite of yours. In order for us to remember this you need to be logged in to your account. Creating an trial account is free and will enable to you to access a personalized account, collect and curate videos, pages, texts and engage in our community functions. We love that you want to add this file to a playlist. In order for us to remember this you need to be logged in to your Yogobe account. Creating a trial account is free and as a member you can easily create and collect playlists and content to make your practice efficient and personalized. 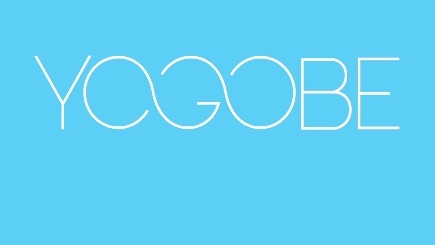 Yogobe videos are available for you at all times. Even when your Apple device is in offline-mode. Log in to our IOS-app using your Yogobe account details for more information. Access this file offline by marking it as a favorite and downloading our IOS app via Appstore. Login to your app to see all your individual favorites and choose which to download. More information in the app. When you log in to your account, you can find videos added to your favorites, browse through our latest news and manage your subscription. You can also check out our video tips for different needs and yoga when, where, and as much as you wish on your computer, tablet or smartphone with guidance of hundreds of videos. 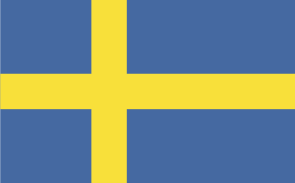 Log in and start your workout with some of Scandinavia's leading teachers, instructors and inspirers! I wish to pay for my subscription via bank transfer directly from my bank account. I wish to pay for my subscription using either a Debet or Credit card (VISA / MasterCard). "Påminn dig själv ibland och reflektera över syftet med din yoga asana praktik." Speciality: Ashtangayoga, vinyasa flow , linjering/teknik samt yinyoga och mediyoga. Naomi började utöva yoga 1995 på en av de få studios som fanns i Stockholm på den tiden, som dessutom inte var en studio utan en gammal gympasal. Det var ashtangayoga som hon först kom i kontakt med och blev helt hooked från det första andetaget med den första solhälsningen! Några månader senare åkte hon till Indien, för andra gången, denna gång för att praktisera yoga. Efter det har det blivit många resor till Indien och andra delar av världen för att studera med utvalda lärare. 2005, efter att hon hyrt in sig i olika lokaler under några år, öppnade hon studion Inbalance yoga på Södermalm i Stockholm. Här erbjuds klasser i Ashtanga, Vinyasa, Hotyoga, Tonårsyoga, Barnyoga, Yinyoga, Mediyoga och Restorative yoga. På somrarna leder Naomi yogaretreats på Gotland och hon har flera gånger tagit med sig grupper och haft retreats i Indien. Education: Naomi har under 20 års tid gått teachertrainings, workshops och studerat för lärare runt om i världen, b. la. Sri K Patthabi Jois, Sharat Rangaswami, Richard Freeman, Maty Ezraty, Ron Ried, Rolf Naujokat, Dena Kingsberg, Tim Miller, Marc Darby, Petri Räisänen, Clive Sheridan, John Scott, Sara Powers och Paul Grilley. Har även gått instruktörs- och terapeututbildningen - sammanlagt två år - på Mediyoga Institutet. Teknik för att hitta balansen på ett ben i positionen Vrksasana. Teknik för hur du kan arbeta med ditt handstående mot en vägg i positionen Adho Mukha Vrksasana. Hitta armar och axlar – tekniktips för börja jobba mot handstående.